Practicing teachers of all grade levels are the main audience for the graduate-level Upper Iowa University Environmental Issues Instruction workshops, which are each based on an environmental issue theme. Additional environmental educators such as naturalists and pre-service educators are also welcome to attend. 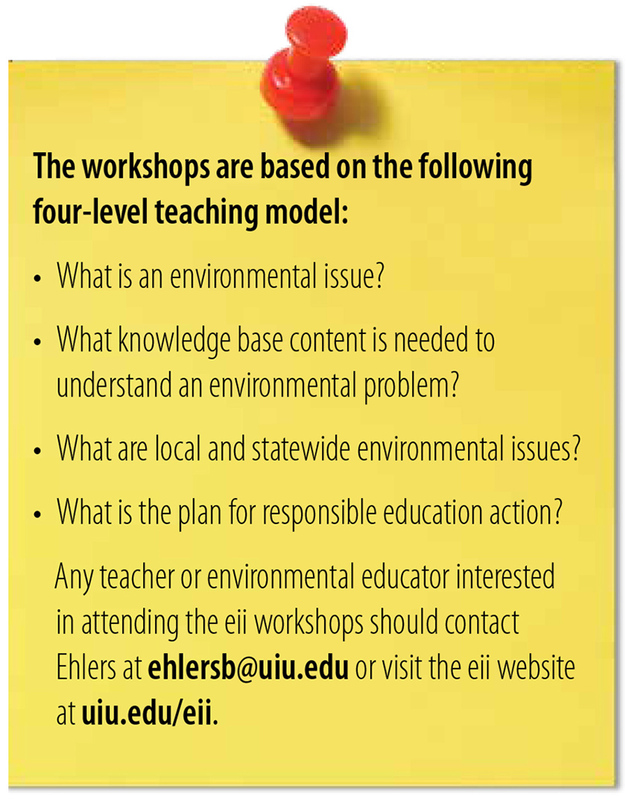 With the assistance of a $100,000 Environmental Education grant, educators from Iowa and surrounding states will once again have the opportunity to learn how to better prepare themselves to teach environmental issues as part of Upper Iowa University’s Environmental Issues Instruction (eii) workshops. The Environmental Protection Agency (EPA) announced in August that UIU was among 37 organizations to receive funding to support environmental education projects. According to the EPA, funding the projects advances the administration’s goals of improving air quality and ensuring clean drinking water. First administered by Upper Iowa University in 2011, the eii workshops are typically offered to approximately 50 teachers each academic year. Practicing teachers of all grade levels are the main audience for the graduate-level workshops, which are each based on an environmental issue theme. Additional environmental educators such as naturalists and pre-service educators are also welcome to attend. The lessons and activities are interdisciplinary in nature, and the participating teachers are encouraged to modify the curriculum to fit the needs of their own students. The curriculum is also aligned with the Iowa Core and Next Generation Science Standards. First administered by UIU in 2011, eii workshops are typically offered to approximately 50 teachers each academic year. UIU Associate Professor of Education Dr. Barbara Ehlers first took a graduate level eii workshop in 1989. She was later asked to become a teacher leader and served in that capacity for several years before becoming an eii staff member and eventually its director. In addition to Ehlers, eii associate directors include UIU Associate Professor of Geosciences Dr. Kata McCarville, New Hampton Schools K-12 Extended Learning Program Teacher Jeff Monteith and University of Iowa graduate student Cathryn Carney. Networks for Clean and Safe Water in the Heartland” workshop will be held in Mount Vernon, Iowa, February 8-10, 2019. Participants must also attend an updated session in Mount Vernon April 5-6, 2019. 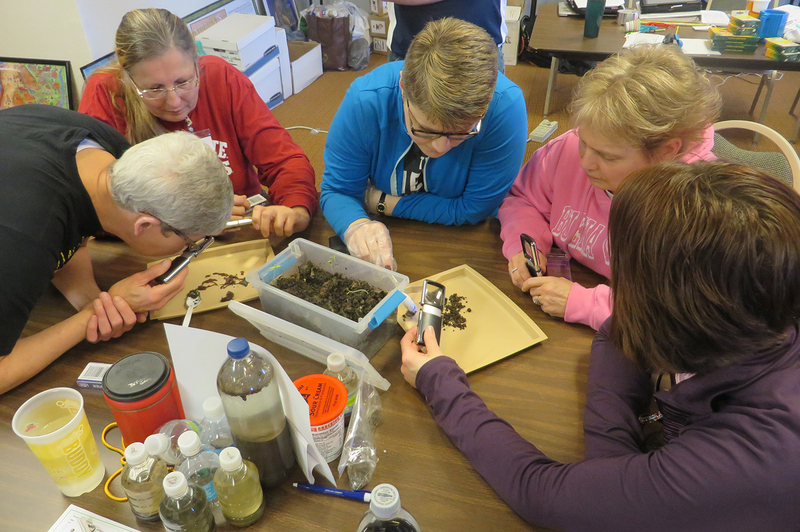 The second workshop is scheduled for June 25-27, 2019, at the Iowa Lakeside Lab in Milford, Iowa, with an updated session to be held at the same location April 3-4, 2020. Two additional workshops will be held at the UIU-Quad Cities Center in Bettendorf, Iowa, and at Fayette Campus. Dates and details will be announced in the future. For additional information, contact Ehlers at ehlersb@uiu.edu.